49 percent shareholding. Pawans Hans has a fleet of 46 choppers. On 13 April, the government had issued the information memorandum for the 51 percent strategic stake sale in Pawan Hans and had sought Expression of Interest (EoI) from interested bidders by 18 June. About half a dozen bidders are believed to have submitted bids. On 2 July, ONGC wrote to the government saying that its board has resolved that it would prefer to exit Pawan Hans simultaneously with the government. Against this backdrop, the senior government official said an addendum to the existing document would be issued soon, seeking bids for 100 percent stake in Pawan Hans. "An addendum would be issued to the EoI (Expression of Interest) document issued on 13 April. The addendum would state that ONGC has expressed its interest in selling its 49 percent holding and fresh bids can be put in for the entire 100 percent stake," the official told news agency PTI. According to the official, the existing bids for the government's 51 percent stake would stay. "We want to give other investors a chance in case they want to bid for entire 100 percent stake," the official added. SBI Capital Markets is the transaction advisor for strategic disinvestment of Pawan Hans. The government had first floated an offer to sell its 51 percent stake in October last year, but in view of subdued response from bidders, the EoI was withdrawn in April this year. At that time, some investors had suggested that the government and ONGC should sell their stakes together. The flagship helicopter service provider of the Government of India, Pawan Hans has now evolved into south Asia’s largest helicopter company that maintains and operates a fleet of more than 50 helicopters. It provides a variety of services, making it the most trusted brand in the area of helicopter services. 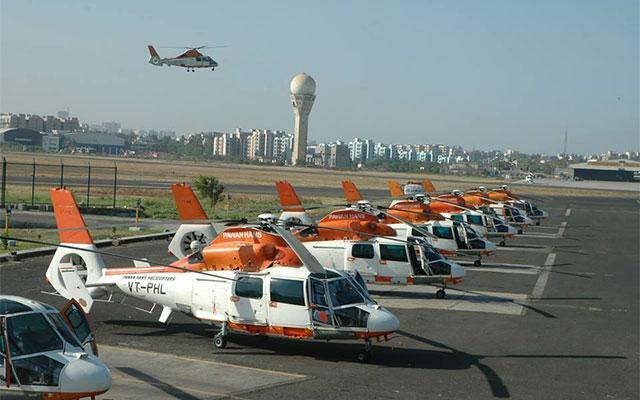 Off-shore operations, connecting inaccessible areas, charter services, search and rescue work, VIP transportation, corporate and special charters, hotline washing of insulators and Heli-pilgrims are some of the major services of Pawan Hans. Over a period, PHL has logged more than 1 million flying hours and lakhs of landings and also plans to become a 100 helicopter company by 2027. Further to strengthen its core business, Pawan Hans is diversifying into the fields of seaplane, small fixed wing aircraft, training & skill development, safety audit and consultancy, foreign projects and creation of infrastructure such as heliports and helipads as well.